Most business people know they have to identify their potential customers and study their needs and desires. Every marketing or PR 101 class teaches you find and connect with these “target audiences”. If you’re a smart marketer you’ll be creating content and posting it on social media channels and building up a following. 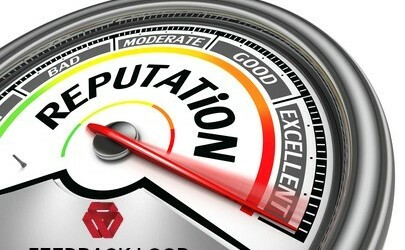 However, there’s one vital ingredient you may have overlooked – your online reputation. Consumers today are pretty much all online, all the time. That little device in their hands tells them where to go and how to get there, while chatting with friends and family or checking Facebook, Twitter or Instagram. And they know they have a voice. They post about their lives constantly, including how they felt about the experience they just had at your establishment. These reviews influence the next person searching for a similar product or service. What they say about you either enhances or detracts from your reputation. You can’t leave the online review process to chance. Make it an integral part of your 2015 marketing strategy, otherwise you could find yourself blindsided by negative online reviews caused by issues in your company that you were not even aware off. All the hard owrk you put in to building a good repuaiotn and a slid communityof fans coudl be ruined, if you don’t pay attention to what’s being said about you online and actively working with customers to improve your business and turn their feedback into positive online reviews.